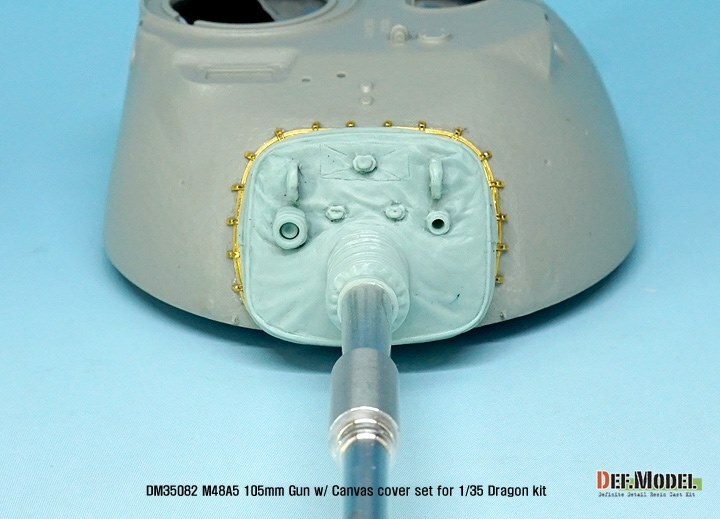 This product is intended to improve the detail of the barrel and canvas cover of DML's M48A5 tank. 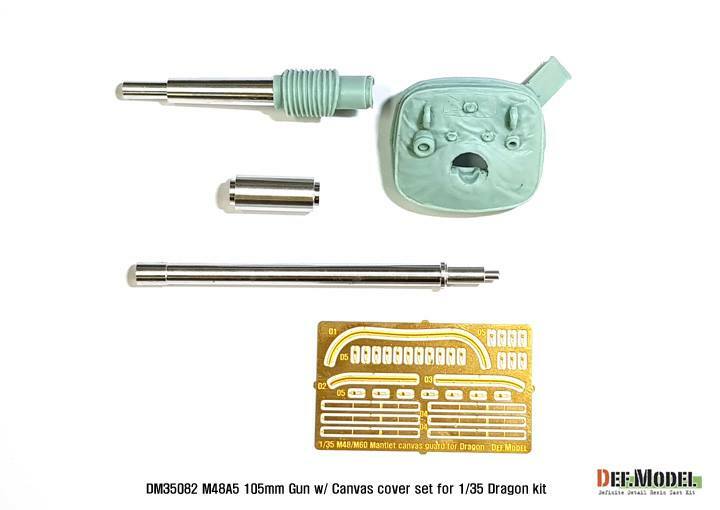 It consists of an accurate-sized metal barrel, a naturally reproduced resin canvas cover, and an etched part that fixes it. 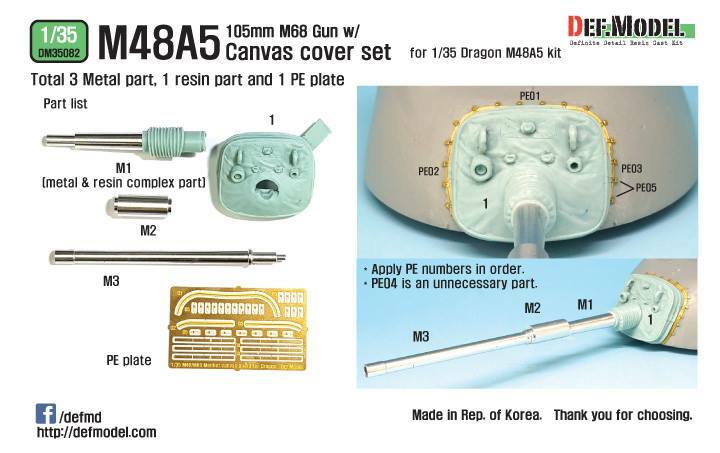 It contains 3 metal parts, 1 resin part and 1 etched plate.